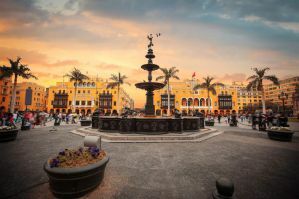 Lima is Peru's vibrant capital city. It's a great place to try some Peruvian cuisine or explore some great museums. It also offers visitors a wonderful nightlife, and many travelers look specifically for a hostel that will help them explore this fun side of the city. Check out any of these hostels if you're hoping to meet fellow travelers and head out on the town. How much do hostels in Lima cost? 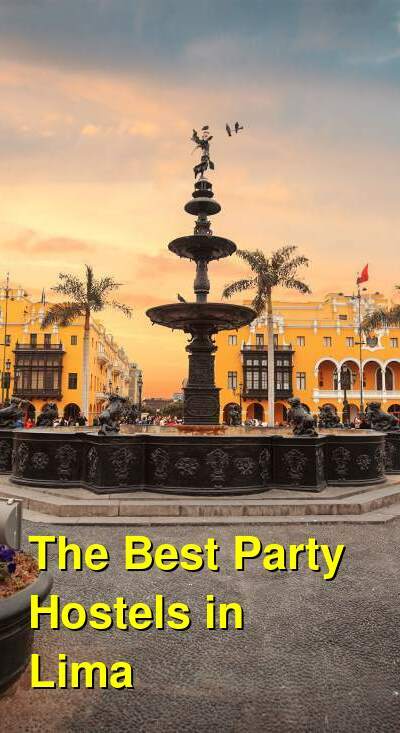 The Point Hostel in Lima, Peru is one of the most popular party hostels in the city. It's well known for its fun atmosphere, friendly staff, and regular activities. It's also a comfortable hostel in a great party of the city. Every night a "nightlife guide" will take you out and around the town to some of the city's best clubs. You'll pass the lines and get the VIP treatment. There's plenty of fun in the hostel as well with a television room, pool table, ping pong table, and an onsite bar that stays open until 1 am. You can also take advantage of the many amenities available at the hostel. There's free breakfast, laundry service, internet service, lockers, a book exchange, a travel center, and 24 hour security. Pariwana Hostel is a favorite among travelers. It has a longstanding reputation for being reliable, fun, and convenient. It's also affordable and offers a range of great amenities to its guests. There's a bar with a fun vibe, staff that are friendly and welcoming, and plenty of common areas with all kinds of activities. You can play pool, ping pong, or foosball, or just get to know other guests. There are plenty of activities that are organized for guests as well. They host parties, play drinking games, have walking tours, and organize classes. There's also food available including both Peruvian and international dishes. This is a great place that is always reliable and fun. It's best to make reservations in advance during the peak seasons. This hostel is designed as a place guests can come and relax, have fun, and meet other travelers. It's located right in the middle of Miraflores and is only a few blocks from Parque Kennedy. It's near many different dining, shopping, and nightlife venues so there is no shortage of activity nearby. It's also just 3 blocks from the ocean and the cliff top parks that offer paragliding and surfing opportunities. There is plenty of common space throughout the hostel, both indoors and outdoors. It's a modern facility with modern comforts. It's safe and secure with a 24 hour reception area and lockers for guests. The staff work hard to make sure that this is one of the most social hostels in Lima. There's an onsite bar, late breakfast is served, and you don't have to checkout until 1 pm. They also host nightly events so you have plenty of opportunity to interact with other guests. Kokopelli Hostel is a great base for your adventures in Peru. They offer unique experiences for life travelers, full of new sensations and discoveries in each city. The property has a vibrant atmosphere and is always innovating to make your stay unforgettable. The hostel offers a top location in the heart of Miraflores, just 2 blocks to Parque Kennedy, a 5 minute wall to Lima's coast view, and a 15 minute walk to the beaches. You can also relax or meet new friends on the open terrace. They offer a lively roof top bar with great music and fun activities. The facility also offers free walking tours of top spots in the area. They offer comfortable dorms with features for a great rest: curtains, comfy beds, warm feather duvets, reading light, and power plugs. A travel desk is available to help you plan your next big adventure. You can start your night with some delicious cocktails in the on site Roof Top Bar and experience Lima's nightlife guided by the staff. A good breakfast is included and transfer and laundry services are available upon request. Free city maps, Wi-Fi, linen, and breakfast are included and towels are available for hire. Puriwasi Lima is a great place to relax, have a Pisco Sour, and meet many new people from all over the world. Enjoy the great terrace bar that has a nice view of the city. The property also has a great location in the district of Miraflores, the safest in the city, surrounded by bars and very good restaurants, just 10 minutes from the Pacific Ocean, very close to the Metropolitan Station and one block to Kennedy Park. The facility offers a very youthful and energetic environment, daily activities, and nights out, as well as free entrance to the best clubs in the city. Free city maps, Wi-Fi, linen, and breakfast are included and towels are available for hire.